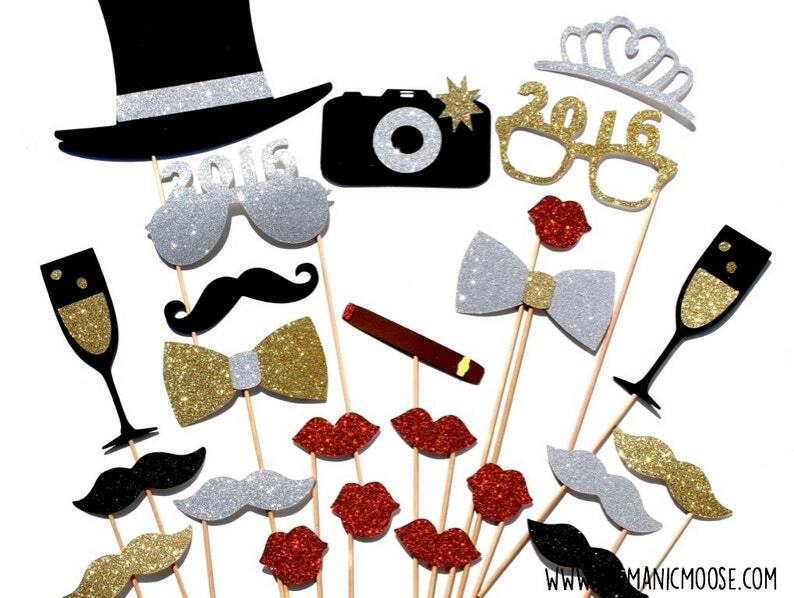 New Years Eve Photo Booth Props DELUXE SET - Silver and Gold - New Years Party Props - set of 24 - GLITTER photo props - You Choose Year! Ring in the New Year with Sparkle!! This listing is for a set of 24 ultra-cool props on a stick!